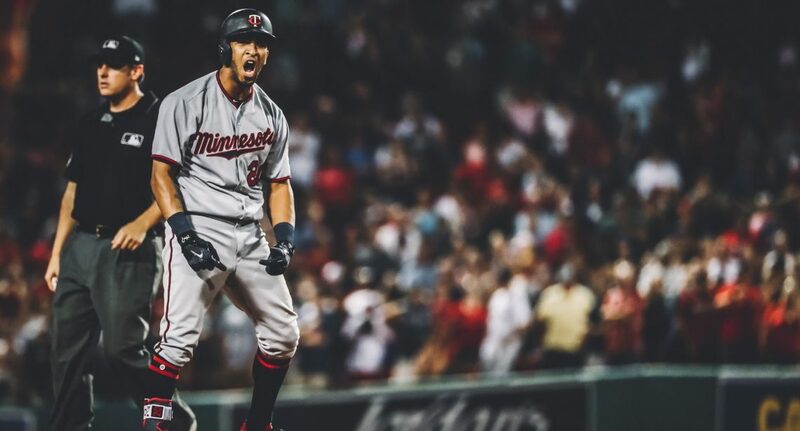 In a list recently made for the top 15 candidates for comeback player of the year, the Twins had three of them. The list was posted by Jim Bowden from “theathletic.com” so go check it out. The three Twins players listed were Byron Buxton, Miguel Sano and Jonathan Schoop. Byron Buxton: What can be said about Buxton that most haven’t already said this offseason? After a 2017 season where he received MVP votes and winning the platinum glove, the 2018 season was the complete opposite. He saved 24 runs above average on defense in 2017. He also hit .300/.347/.546 in the second half of that season. The 2018 year had no real comparisons as he only played 28 games. Is there hope for a comeback? Yes, without a doubt. He was hitting good enough in AAA to get called up, but the Twins front office never called him up in order to save service time. Over this offseason, Buxton has used that as motivation to get better. He has added 21 pounds of muscle which is actually insane. Byron Buxton has a real shot to have his best year up to date. Miguel Sano: After being an all start in 2017, hitting 28 homers and slashing a .264/.352/.507 line, Miguel’s 2018 couldn’t have gone worse. It sounds exactly like the other cornerstone, Byron Buxton. In 2018 Miguel Sano was sent down to the A+ level of the minors because he was not in baseball shape and was hitting under .200 in the majors. After 28 games in the minor leagues to revamp Sano’s attitude and conditioning, he was called up to finish off his 71 game total. Why is there still hope? Sano is a 25 year old former all star who will be mentored by the veteran Nelson Cruz. Much like Buxton, Miguel Sano has had a very productive offseason in order to bounce back this year. The third baseman has the potential for 30+ home runs and I can see him being the Twins all star if he can put it all back together. Jonathan Schoop: People seem to forget just how good Schoop was before 2018. He was an all star, hitting 32 homers with a .293/.338/.508 batting line. Schoop has the potential to be the best signing by the Twins this year and he’s the player I’m the most excited to watch. This is going to either be such a fun season, or a potentially bad season because theses players could either all perform, or have a repeat of least season. It’s impossible to predict but I like to think the Twins will have a good season. Thank you for reading my article on the comeback candidates. I would love to do more interactive articles with fans, so go visit my Twitter and follow me. (@EverydayTwins). If you enjoyed please leave a like and share with your friends. If you disagree or have any questions please leave a comment or ask me on Twitter. Also, I hope the Memphis Grizzlies never win another game.